This is another Kiesewetter product, makers of the Excelsior and Excelsior Jr. It's a dead-ringer for the full-size, post-war Excelsior. After World War II, they simply put the tooling back and restarted production. This is an American import, brought in through Photo Utilities in New York, so all the German markings (except "Germany" on the face) are gone. 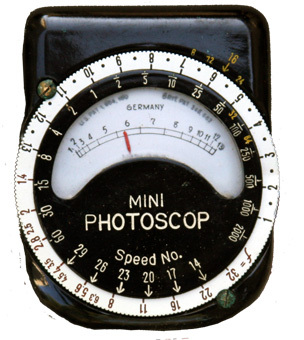 The film speeds are in Photoscop numbers, which is the same as American Scheiner. You can convert this into DIN by subtracting 7 (e.g. 28 Photoscop is equivalent to 21 DIN). 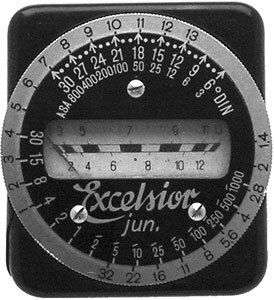 Very simple to use: just point it and turn the outer ring until the film speed pointer matches the number on the meter face that the needle is pointing to, then read the shutter speed/aperture combinations. Mine came with instructions, but it's nicely designed and you don't really need them to figure it out. 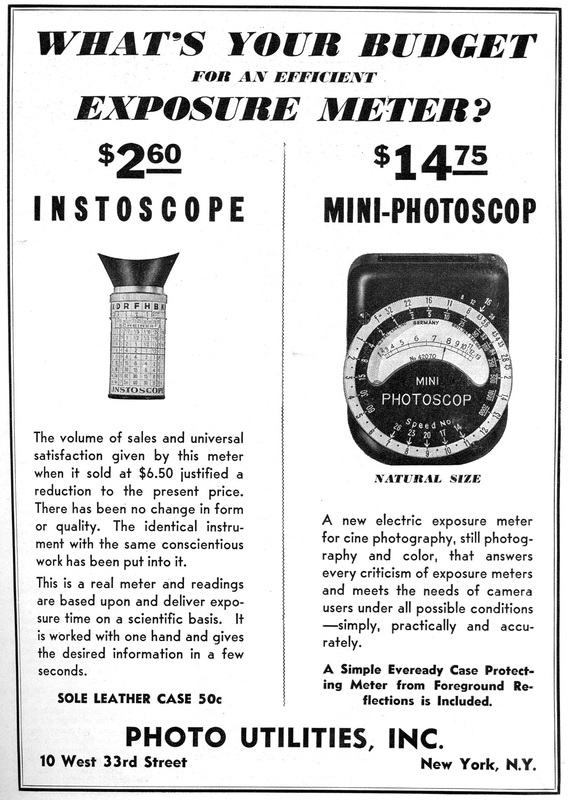 I also have a pamphlet from Photo Utilities from 1937 listing film speeds in Photoscop numbers.